Box Elder County is a county on the northwestern edge of Utah, United States. As of the 2010 Census, the population was 49,975. Its county seat and largest city is Brigham City. The county was named for the box elder trees that abound in the county. Box Elder County lies on the north end of the Great Salt Lake, covering a large area north to the Idaho border and west to the Nevada border. Included in this area are large tracts of barren desert, contrasted by high, forested mountains. 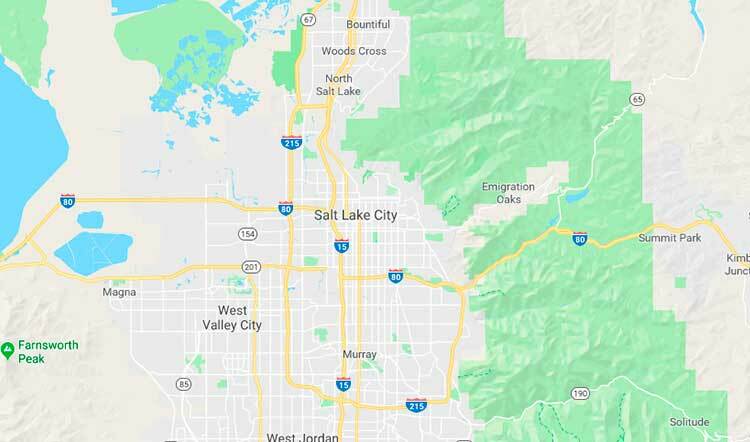 The Wasatch Front lies along the south-eastern border, where the main cities are found. According to the U.S. Census Bureau, the county has a total area of 6,729 square miles (17,430 km²), of which 5,746 square miles (14,880 km²) is land and 984 square miles (2,550 km²) (15%) is water. It is the fourth-largest county in Utah by area. In the east lie the Wellsville Mountains, a branch of the Wasatch Range. In the west is a large, mostly uninhabited desert area. The Great Salt Lake lies in the southern portion of the county. Interstate 15 runs through the eastern portion merged with Interstate 84 past Brigham City. They split at Tremonton, with 84 heading northwest past Snowville into Idaho and 15 heading north past Plymouth and Portage into Idaho. As of the census of 2010, there were 49,975 people, 16,058 households, and 12,891 families residing in the county. The population density was 8.73 people per square mile (3.37/km²). There were 17,326 housing units at an average density of 3.03 per square mile (1.17/km²). The racial makeup of the county was 91.77% White, 0.34% Black or African American, 0.82% Native American, 0.89% Asian, 0.17% Pacific Islander, 3.77% from other races, and 2.24% from two or more races. 8.31% of the population were Hispanic or Latino of any race.